It's one of those days that I can't forget that had changed my television world forever. I remember it like it was yesterday, April 2, 2009, as the day it would change my television world forever. I've been through other series finales that made me cry, mad and even laugh; but this one show had meant more to me than anything else in the television universe. That specific date is the day that ER ended it's 15 season run. The morning of Thursday, April 2, 2009, was one gloomy day to start as I had an early class downtown. It was cloudy with showers. I had stopped to pick up newspapers like Chicago Sun-Times and Chicago Tribune as I would think they would have put something in there for the series finale of ER. I've gon through each section and found a couple of pages about the show and some with poster ads. After my only class for that day; I headed back home while listening to the ER soundtrack on my MP3 player. As I get home, I go through the VHS tape of the Today Show when Noah Wyle was on to promote the series finale. I kept myself busy with the usual stuff from watching ESPN all the way till 5 pm of the news of the Chicago Bears had made a trade for Jay Cutler (how great that turned out to be ten years later). M grandmother and I ordered Chinese food for dinner and as time flew by, the world has learned that Guiding Light was ending as well. As 7 pm comes, the special retrospective of ER begins as well as the waterworks began as the doors opened at County General. As you're going through the hospital doors an into the ER; you hear the voices of all the characters that had worked on the show from Anthony Edwards' Dr. Greene in the pilot to Noah Wyle's stepping up during an outbreak in Season 4; to George Clooney's Dr. Ross talks about how he tries to help kids who suffer from pain to even William H. Macy's character telling Edward's character that "you set the tone." The special was an hour celebration of how the show was created, how the show was build and how the show has changed network television in medical drama but also drama. There were two parts that really restarted the waterworks and that was reliving the events of Dr. Greene's last episode to even acknowledging the creator of the series Michael Crichton, who had passed away in Nov. 2008. The series finale was one that I believe was written for the fans, but also paying a tribute to the pilot. Like in the two-hour pilot; it was like a documentary style episode that had bits and pieces of moments that took you back from the past 15 years of the show's history. There were many moments of laughter, but moments that brought you to tears from a husband losing his wife to a mother dying after given birth to twins. Not to mention, a homosexual HIV patient learning that he's got terminal cancer and accepts it without fear as he felt he lived long enough. I can't forget the big moments of former cast members returning. From Susan Lewis, Elizabeth Corday, Kerry Weaver, Peter Benton, and Rachael Greene, Dr. Greene's daughter, who tries to get in as a med student at County General where her father worked. As the finale comes to its end; we get a moment when residents, doctors, nurses, and Rachael discuss their med student experience. Sam gets a call from EMTs about a mass casualty at a chemical plant explosion and was on the way. As everyone gets ready; all the doctors and nurses come out together awaiting and Carter gets ready too. As the ambulance rolls in, everyone takes each patient. Carter takes a burn victim, as he rolls them in, he turns to Rachael and asked, "Dr. Greene, are you coming?" and she comes along. As the episode closes, we see as the doctors and nurses check on other ambulances that are outside the hospital. As the camera moves back, we see for the first time the building of that is County General Hospital with the theme music playing in the background. "And In The End" was a series finale that was a remembrance of what 15 seasons of the show; with it's powerful and emotional stories to the humorist side of the show too. Now only showing such strong character growth of the doctors and nurses, but the patients that come in and out that may or may not live the hospital. Still to this day, ten years later; I still overwhelmed by re-watching the finale of ER. Watching the series finale of ER was the first time I was going to lose a television show that I have watched since I was five years old. 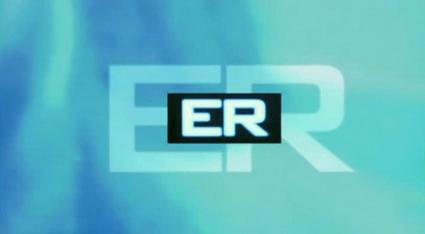 I'd always thought that ER could live forever, but I know that it will live forever not only on DVD and digital but in my heart as well. And on every April 2 since; I do indeed rewatch the series finale and not only do I still get emotional watching it. But I felt so lucky to have watched a show that ran for 15 seasons.